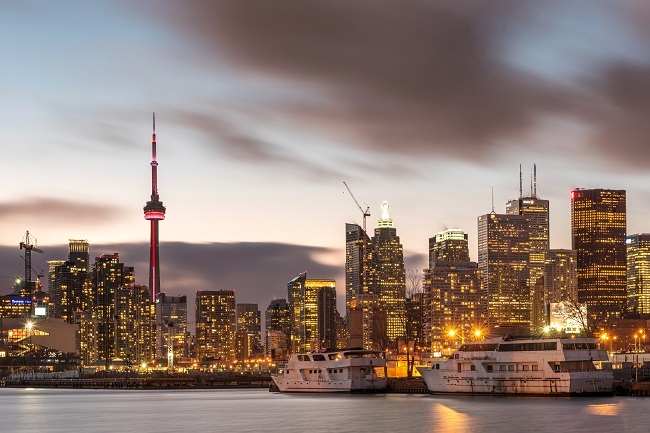 After the completion of an extensive pre-selection and evaluation process, TrojanUV has been selected as the UV supplier for the disinfection conversion and upgrade project at the Ashbridges Bay Wastewater Treatment Plant in Toronto, Ontario. It is the largest secondary treatment plant in Canada, with a rated flow capacity of 818 million liters (216 million gallons) per day and peak flow of 2,000 million liters (528 million gallons) per day. UV will become the plant’s main method of disinfection (replacing chlorine) and will provide broad-spectrum disinfection of a wide range of pathogens, including bacteria, viruses and protozoa. The design will consist of 12 channels, each containing 2 TrojanUVSigna™ banks of UV lamps. It is slated to be the largest TrojanUVSigna™ installation to date. Project design, equipment manufacturing and UV building construction will be completed in late 2019.